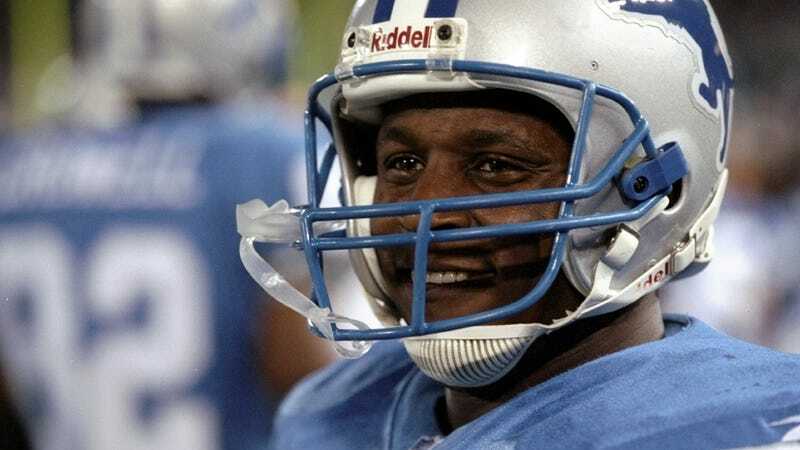 Barry Sanders may have once appeared on the cover of Madden, but until today he was, technically, never its cover star, subjected to the fame, celebrity and, yes, the curse that supposedly goes with it. Now he is, thanks to the fans. Sanders, the Detroit Lions' hall-of-fame running back, prevailed over the Minnesota Vikings' reigning MVP Adrian Peterson in the third tournament-style vote off for the cover of Madden NFL. The results were announced moments ago on ESPN's SportsNation program. More than 40 million votes were cast over the six-week promotion. An All-Pro and Pro Bowl selection in every year he played, Sanders was featured in an action shot in the background of the Madden NFL 2000 cover, the last time John Madden appeared on the box and the last cover preceding the era of the Madden cover star. Sanders triumphed in a final round matchup that reflected two rival constituencies—not only Peterson's Vikings versus Sanders' Lions, both NFC North members, but also Oklahoma (Peterson's alma mater) and Oklahoma State (Sanders'). It is the second straight year Sanders will appear on the cover of an EA Sports American football title, being voted in by fans last year as a secondary cover star on NCAA Football 13. Also, strangely enough, it's the second consecutive year a Detroit Lion will appear on the cover. Wide receiver Calvin Johnson won last year's balloting, defeating Carolina Panthers quarterback Cam Newton. Sanders went through San Francisco 49ers hall of famers Joe Montana and Jerry Rice to reach the finals, disposing of Raider great Marcus Allen and the recently retired Ray Lews of the Baltimore Ravens along the way. Montana and Rice were seeded first in their regions for purposes of the draw; Sanders came in as a third seed in Montana's grouping. Peterson was expected to go deep in the tournament and he didn't disappoint. He won three huge blowouts before clobbering rookie quarterback sensation Robert Griffin III by more than two-to-one, setting up a semifinal in which he routed Houston running back Arian Foster by almost the same margin. Peterson's 2012 was one of the greatest seasons any running back has ever registered, including 2,097 yards rushing, the second most in league history. He also owns the league record for most rushing yards in a single game (296) set in his rookie year. Sanders was elected to the Pro Football Hall of Fame in 2004, and once rushed for 100 yards in 14 consecutive games, still an NFL record. He is widely acknowledged as one of the top three or four running backs in pro football history, who would own every significant career record had he not retired so abruptly in 1998. Madden NFL 25, so named because this is the 25th anniversary year of the game, goes on sale Aug. 27.